Send fresh flower bouquet of sunshine from A Vanity Fair Florist! We're a local American Filipino Sacramento florist serving metro Sacramento, California which includes surrounding cities with over 14 years experience and a lovely variety of fresh flowers, live plants and creative gift choices. We hope you enjoy your online shopping experience with secure 24-hour ordering right at your fingertips. If preferred, you may call us to place orders direct at (916) 488-4573. It is our pleasure to assist you with any local, as well as worldwide deliveries and remember that corporate accounts are always welcome. For your convenience, we offer daily floral reliable delivery to local funeral homes, hospitals and Senior Residence throughout Sacramento, Antelope, Carmichael, Citrus Heights, McClellan, North Highlands, Roseville, Gold River, Rancho Cordova. Planning a Wedding, Party or Corporate Event? Whether it is formal or casual… a small gathering or the social event of the year… A Vanity Fair Florist can handle all your floral and on-site decorating needs. Call to schedule a consultation, so we can help you start planning your next special occasion! We offer lots of Gift Ideas for all ages and occasions… Green & Blooming Plants, Fruit Baskets, Gourmet Baskets, Antiques, Baby Gifts, Candy & Chocolates, Greeting Cards, Home Décor, Scented Candles, Silk Flowers, Plush Stuffed Animals, Collectible State Coin Bears, Thomas Kinkade & Elvis Bears, Balloons and more! Thank you for visiting our website with flowers delivered fresh from your local Sacramento, CA flower shop and convenient online ordering 24 hours a day!! Shop locally and support our local Sacramento community! A Vanity Fair Florist, a local Sacramento florist, offers professionally designed flower arrangements and gift baskets for all occasions paired with outstanding customer service. We can help you in flower delivery to Sacramento and surrounding areas, and we can handle flower delivery nationwide through our network of trusted florists. Need to send a last minute gift? It’s no problem with Vanity Fair Florist as we offer same day flower delivery at no additional cost. Fresh flowers are a wonderful gift for every occasion. A Vanity Fair Florist, a Sacramento thrifty florist, has a wide selection of birthday flowers and gifts, get well flowers, romantic red roses for anniversary flowers, and tasteful sympathy funeral flower arrangements. No matter the reason or the holiday, Vanity Fair Florist can provide unique and beautiful arrangements to suit your budget. 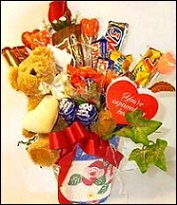 Trust Vanity Fair Florist to deliver exquisite flowers and gift baskets in Sacramento CA. 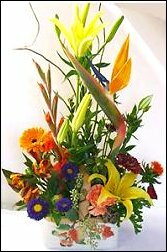 A Vanity Fair Florist is your florist for reliable flower delivery in Sacramento or any city you choose. Beautiful, fresh flowers are just a few clicks away! 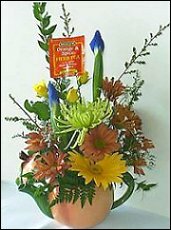 Send affordable flowers and gifts through A Vanity Fair Florist, one of a few reliable local Sacramento florists.